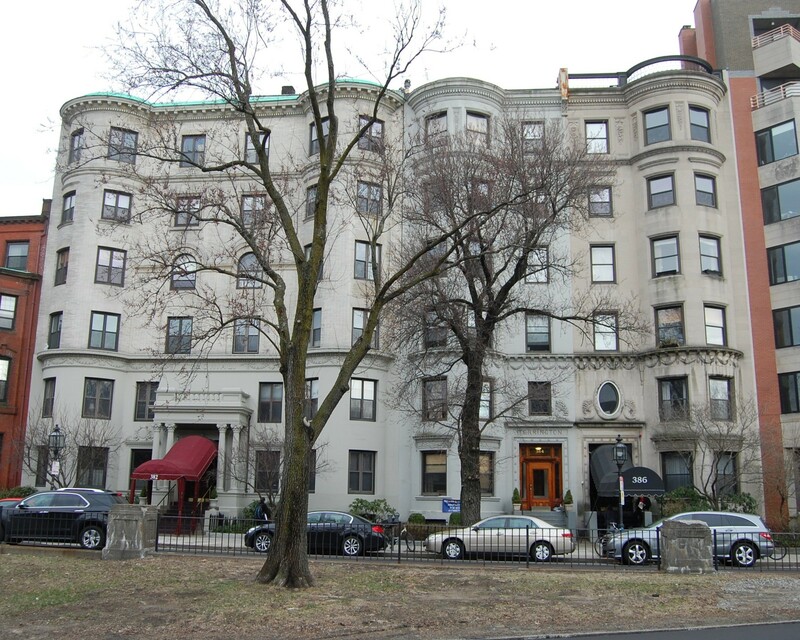 386 Commonwealth is located on the south side of Commonwealth, between Massachusetts Avenue and Charlesgate East, with 384 Commonwealth to the east and 388-390 Commonwealth to the west. 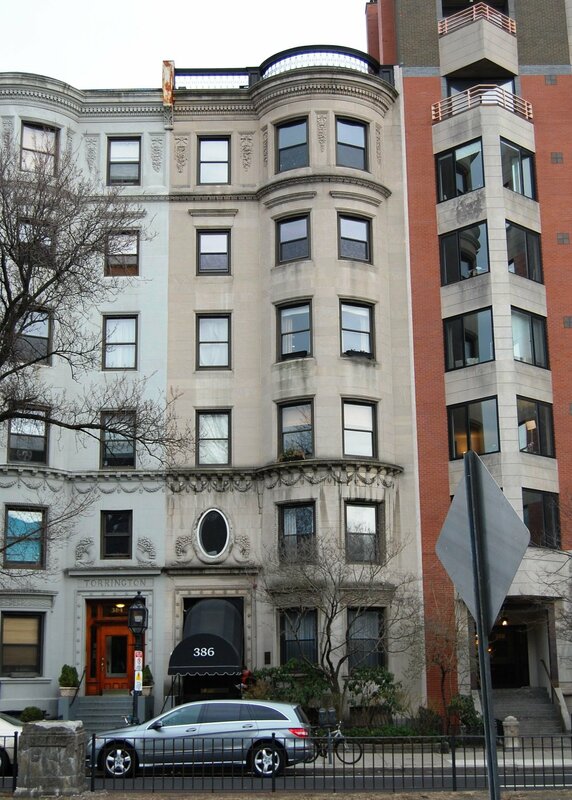 386 Commonwealth was designed by architect Arthur H. Vinal and built in 1899-1900 by Edward W. Clark & Co., masons, as a six story, six unit apartment building for real estate dealer George P. Ridgway. He is shown as the owner on the original building permit application, dated October 2, 1899. In 1896, George Ridgway had built 384 Commonwealth, The Torrington, also a six story, six unit apartment building designed by Arthur Vinal. The new building at 386 Commonwealth created a symmetrical pair similar in design to The Colonial at 382 Commonwealth, also designed by Arthur Vinal. From 1900 through the late 1930s, 384-386 Commonwealth were listed in the Blue Books as The Torrington, implying that they were operated as one apartment house. However, from the early 1900s, if not before, they were separately owned. 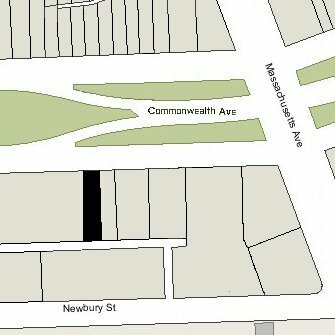 By 1908, 386 Commonwealth was owned by the Cambridgeport Savings Bank, which is shown as the owner on the 1908 and 1912 Bromley maps. By 1917, it was owned by Hannah M. Webster, who is shown as the owner on the 1917 Bromley map. By 1925, 386 Commonwealth was owned by Edward A. Bardol and his wife, Mary (Charlton) Lyman Bardol. They lived in Brookline. Edward Bardol was New England regional manager for F. W. Woolworth’s stores; Mary Bardol’s brother, Earl Perry Charlton, had been an early novelty and notions store entrepreneur who began in Fall River and eventually sold his chain of stores to F. W. Woolworth. Edward Bardol died in June of 1927. Mary Bardol is shown as the owner of 386 Commonwealth on the 1928 and 1938 Bromley maps. She died in January of 1941. The Bardol Trust continued to own 386 Commonwealth. In May of 1942, the Bardol Trust applied for (and subsequently received) permission to remodel 386 Commonwealth and convert it from six to eighteen apartments (three per floor). Only the apartments on the third through six floors were completed, resulting in fourteen apartments, and in January of 1950, the Trust applied for (and subsequently received) permission to similarly remodel the first and second floors, bringing the total number of units to the originally planned eighteen. In April of 1958, 386 Commonwealth was purchased by Maurice M. Galer and his wife, Evelyn (Levitman) Galer. He was a beverage manufacturer and also a real estate dealer in partnership with their sons, Lawrence Irwin Galer and Michael Master Galer. Maurice Galer died in January of 1968 and Evelyn Galer died in October of 1972, having remarried to William W. Berman. In July of 1975, Marvin M. Glick, trustee of the 386 Realty Trust, purchased 386 Commonwealth from the Galer Trust. In January of 1981, Joseph P. Segar purchased 386 Commonwealth from Marvin Glick, and on the same day he sold the property to William H. Schwarz, III, and David L. Crary. 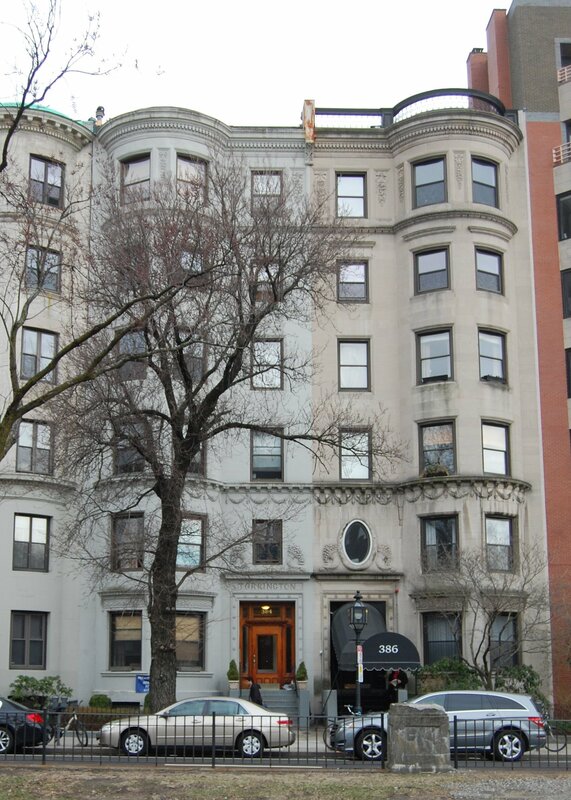 In June of 1982, they converted the property into eighteen condominium units, the 396 Commonwealth Avenue Condominium.